Travelling? Shopping? Sight-seeing? You no longer need to carry cash in your wallet and remain conscious all the time. Simply carry a credit card and all your errands will get sorted. Apart from safety, attractive offers, cashbacks make credit cards a beneficial option. Let us take you through some of the benefits that credit cards offer us. 1) Safety: Credit cards are a safer option than carrying cash. These cards are use secure payment gateways like Visa, Mastercard to eliminate the chance of frauds and theft. Also, all the transactions are password protected. 2) Cash back: Use of credit cards for shopping, paying bills, purchasing grocery etc. can help you earn cashback. This amount gets credited to your bank account, helping you save on purchases you undertake. 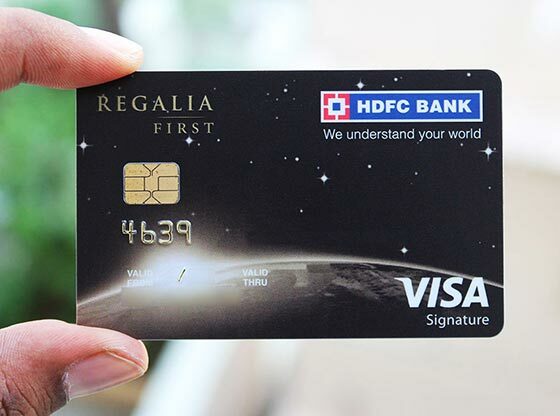 3) Reward points: In addition to cashbacks, credit card companies also offer reward points for every purchase For instance, HDFC Bank offers a reward of 2-5 points for every Rs 150 spent using your card. These points can then be used to purchase any item that is available on the company’s rewards page. 4) Grace period: This is one of the biggest advantages of a credit card. If you fall short of cash, you can delay the payment till your bill your due. Generally, a maximum of 50 days is allowed as grace period by the banks. Applying for credit cards is easy. You can do that online as well. One of the best options for credit cards is HDFC credit card. Once, you apply HDFC credit card online, you will receive a confirmation SMS from the Bank about your application. This SMS would contain a reference number and an application number along with the Airway bill number of the card shipment. You can easily track your HDFC credit card status with the Airway bill number. Do not forget to note the Application form number before submitting your application to the bank. You would need it for tracking the status of your application. Your Date of birth & your mobile number (mentioned in the application) can also be used to track the status of your application. You can track HDFC credit card application status both by online and offline methods. You would get the status of your HDFC Credit Card. Enter the Air Way bill number and click on the submit. The status of your card will be displayed. For this you would need to call the HDFC Customer Care department and give them the details that they ask you. Make sure you do not reveal any other details apart from your application number, application reference number, mobile number and date of birth. Once they check the status of your application on the system, it would be communicated to you over the same call. Make sure you keep your application number or application reference number handy before you call up the customer service department. You can also visit your nearest HDFC Bank branch and enquire about the status of your credit card application through a bank executive. For this also, you would need to provide the application number or application reference number to the bank executive.